The moment I spotted Tory Burch's A/W14 campaign at the tube stop I got excited for the golden autumn to start. Its autumnal colours, detailed prints, brocade and countryside setting - I love all about it! Unfortunately the golden autumn has now turned into a much grayer and rainier version than expected. 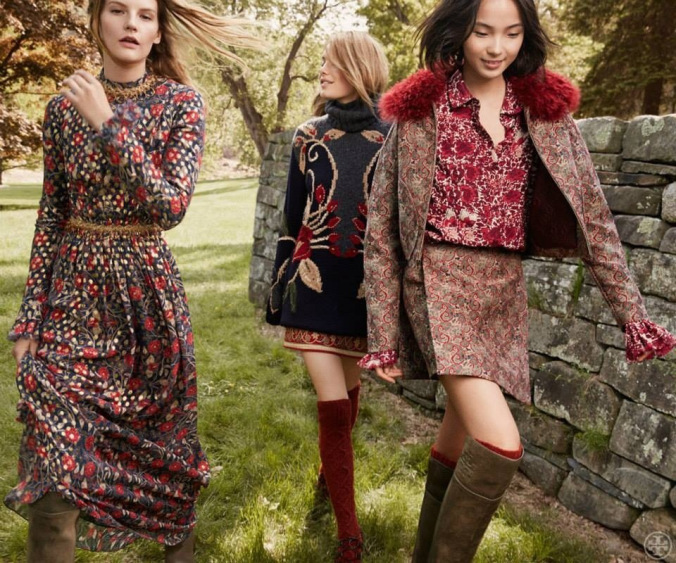 Luckily Tory Burch's campaign shots and video are so beautiful that they will easily take you away from the miserable weather. 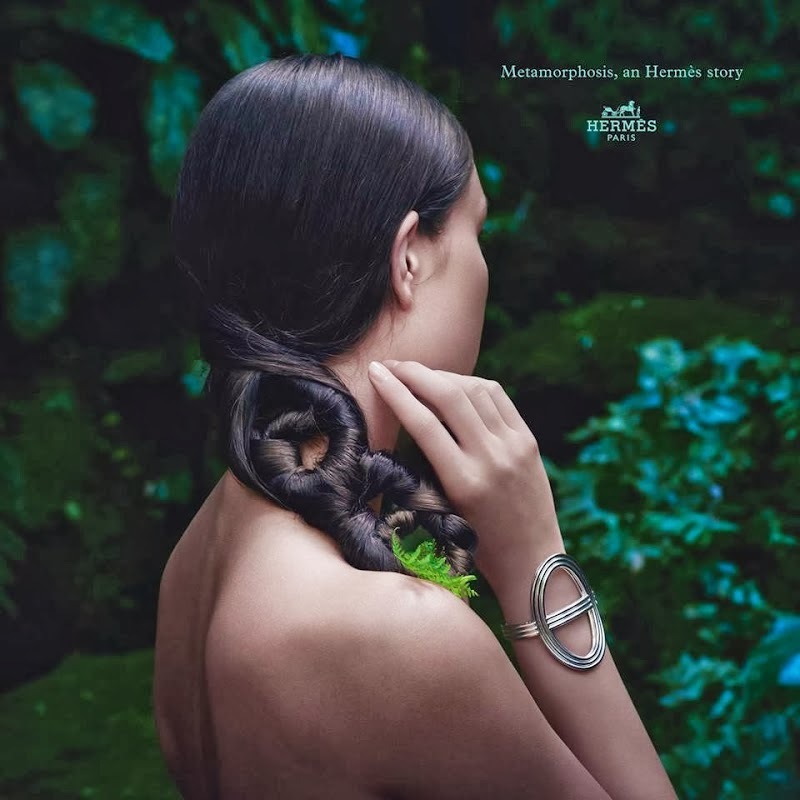 Check out the campaign video below, it really brings the designs to live and is so enchanting to watch. In the designs the 1970's are dominant, taking a strong presence in the prints and fur collars. The rich red hues work so well along side the muted green and brown shades - it makes me want to buy a whole new bunch of clothes in this colour palette! And how gorgeous are the over knee boots? Last Sunday, London was a glorious place to be. The sun was shining and it got warm enough so I could finally wear the summery jumpsuit I got from Dorothy Perkins a while ago. 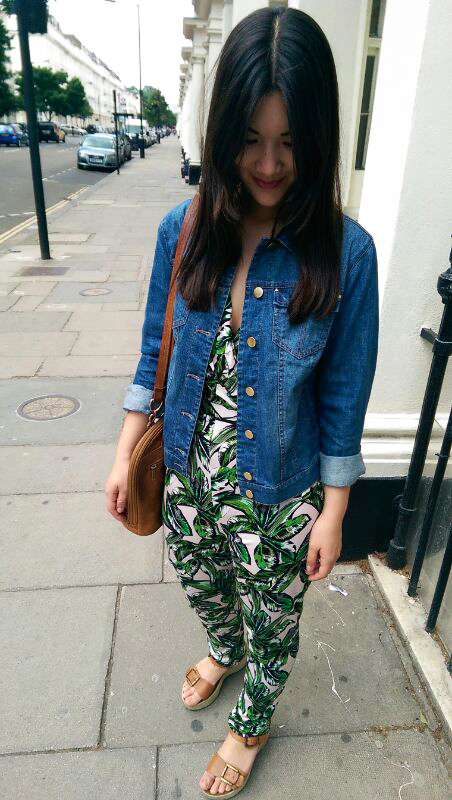 At the moment I feel drawn towards anything with palm leaf prints and this jumpsuit is no exception! Even though some jumpsuits can feel a bit limiting and difficult to wear, this one is super comfortable. As I learnt not too trust the English weather I wore my denim jacket with the jumpsuit as well as my tan flatforms (Office Shoes) and one of my favourite vintage bags (which used to be my Mum's). We spent that morning at the car boot in Pimlico, looking for bits and bobs for our new flat. Even though we didn't buy anything special, it was still nice to have a browse. Capital Car Boot in Pimlico is a quite big one, so definitely have a look if you're around. You never know what you might find! After rummaging through stuff, we went to a small café called Pimlico Village just outside the tube station. It was actually quite late by then but we still decided to have an English breakfast and it was delicious! Hackney-based brand Miista is one of my latest dream brands. Since my sister showed me the brand, I have been nothing else than wishing I could have at least one pair of their amazingly beautiful, shiny, perfect shoes! 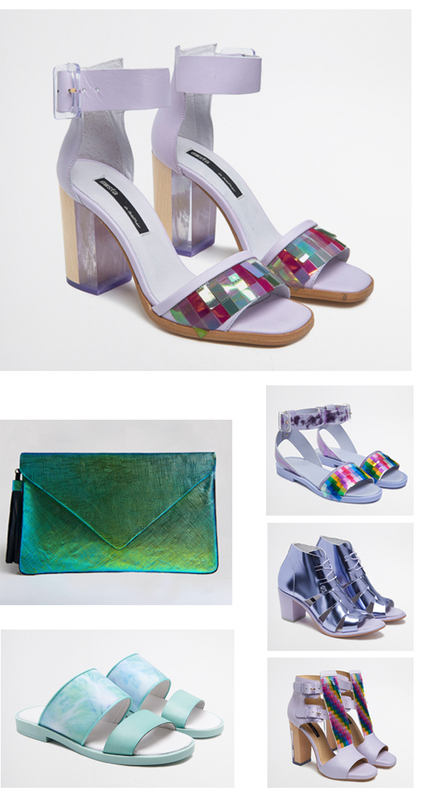 Miista focuses on unique designs and was founded by LCF graduate Laura Villasenin. Miista shoes are available on the brand's website as well as on other online shops such as ASOS (look out for their sale!). Today was one of the funniest days at work ever. First everyone and I mean everyone received Greg's holiday request (which was sent out to the whole of Arcadia by accident). Then hundreds of hilarious emails by staff followed, making the whole of Arcadia's HQ laugh. Within a short time #GiveGregTheHoliday was trending on Twitter, banning the #elections from numero one! Long story short - thanks to Twitter he got a free trip to Vegas and loads of freebies by some other brands within hours. Greg however was nowhere to be seen as he works night shifts and was likely to be asleep when all this happened. What amazing news to wake up to though! All the talks and tweets about Greg's holiday made me dream about days off work and white sand beaches. With the rain clouds returning to London I can't help but think more and more about my planned trip to Thailand. Not that it is any time soon...but I'm already so excited for my sister's wedding at the beach and trips around the beautiful islands in the south. For the ultimate beach holiday a bunch of amazing bikinis and swimsuits are needed. Two of my favourites on the high street are from Reiss at the moment. Both designs really stand out from other swimwear because of their straps! The Bikini on the left features a gorgeous jungle prints, which would look beautiful on tanned skin. The red swimsuit on the right is incredible as well and really stands out because of its unique design at the back and its bright colour. 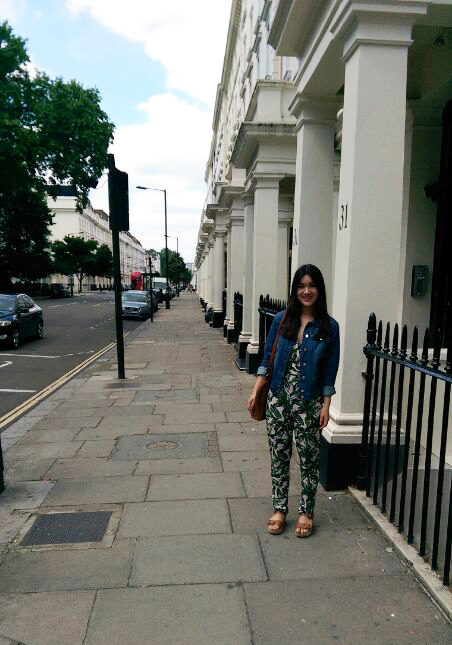 With a tea on my right I have finally overcome my laziness to post something new on my blog! I really do admire all these amazing people who manage to have a normal working life whilst updating their blog regularly. My new ambition is to blog more often again to keep collecting things I find inspiring and share it with you guys. Living in London and working in fashion is very very inspiring, however it is so fast-paced that I feel one thought gets missing after another. This blog was always my little collection of things I found inspiring so I really want to keep this going to look back at it. 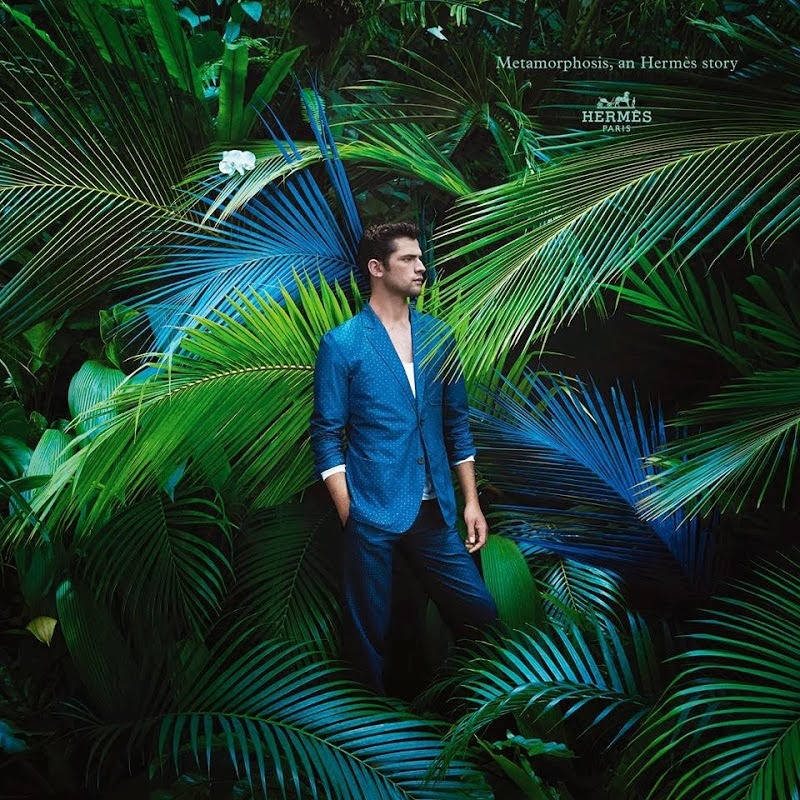 One of the things I want to share is Hermès beautiful new S/S14 campaign La Métamorphose, which was shot Hans Sivester. I came across it a few days ago, but I couldn't stop thinking about it. 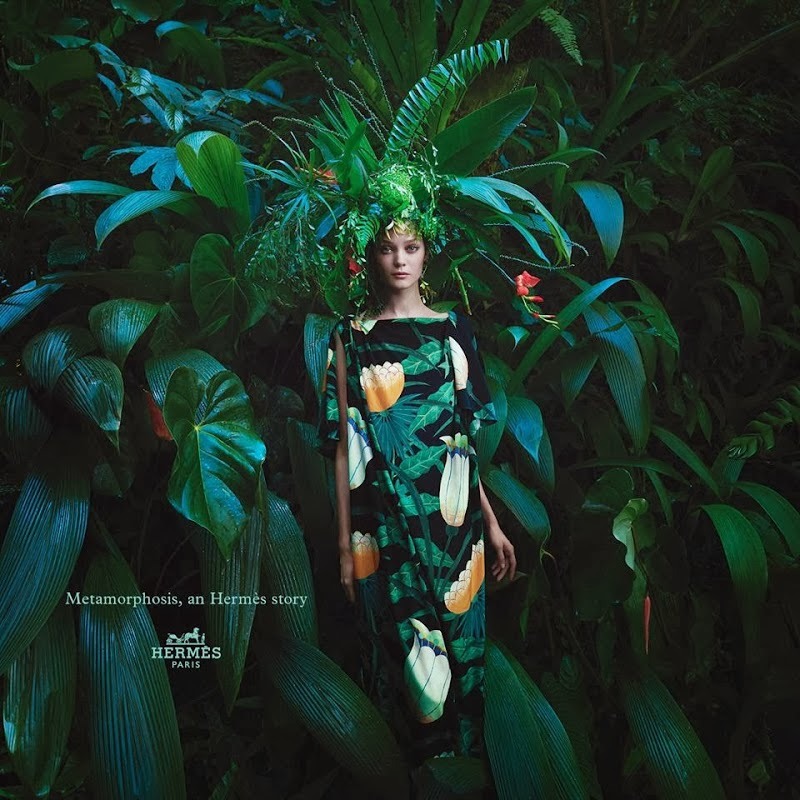 The campaign images reflect perfectly on the collections' jungle charm and make me dream about holidays in exotic countries. The lighting as well as the shimmery green and blue tones let the beautiful, vivid prints glow. Overall the campaign has something quite mysterious, if not surreal, about it. Mit einem Englischen Tee an meiner Seite, finde ich nun endlich die Motivation mal wieder zu bloggen. Ich bewundere wie so viele Leute es schaffen ganz normal zu arbeiten und trotzdem oft zu bloggen. Viel zu oft denke ich mir "Oh darüber muss ich unbedingt später bloggen" - doch leider kommt es oft doch nicht dazu. In London zu leben und arbeiten ist sehr inspirierend. Da es allerdings sehr hektisch ist, kommt es mir vor als würde ein kreativer Gedanke im anderen verloren gehen. Dieser Blog war immer meine kleine Sammlung an Dingen die mich inspirieren und so soll es auch weiterhin sein! 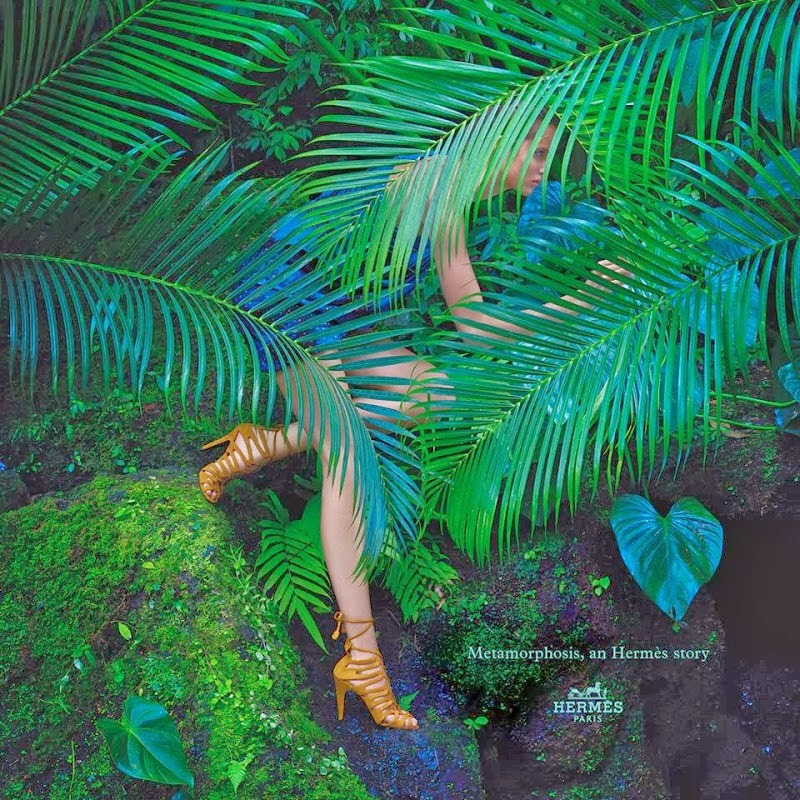 Eine der Kampagnen die für mich in dieser S/S14 Saison herausstechen ist die von Hermès. La Métamorphose, fotografiert von Hans Silvester, ist einfach nur traumhaft schön. Das Licht, sowie die Blau- und Grüntöne lassen die kräftigen Prints richtig strahlen. Die Models sowie der Regenwald haben etwas mysteriöses an sich. 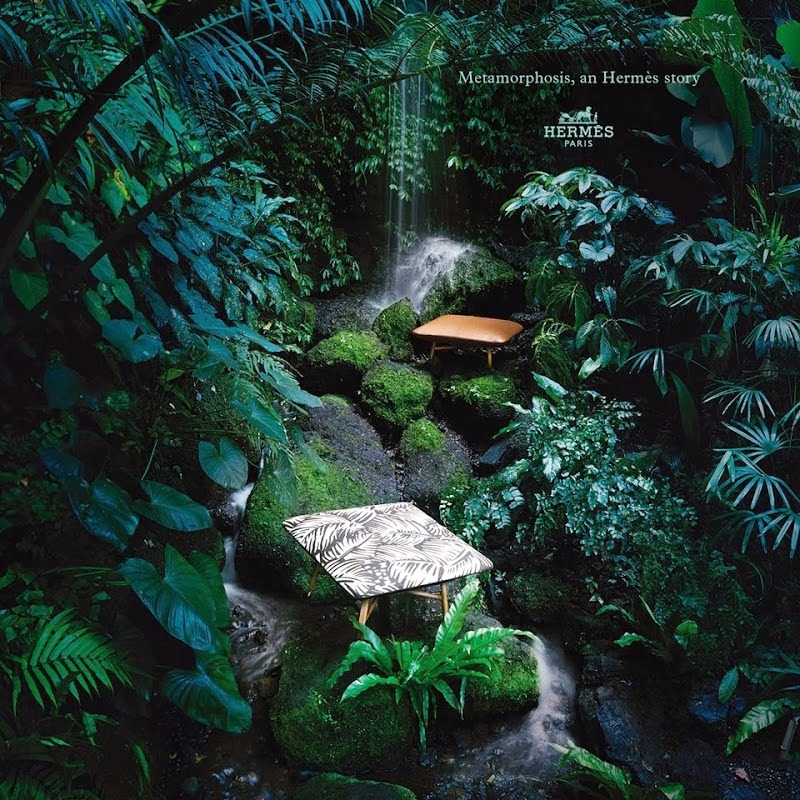 Es scheint fast so als sei ein ruhiger, unberührter Ort wie der exotische Regenwald etwas surreales. 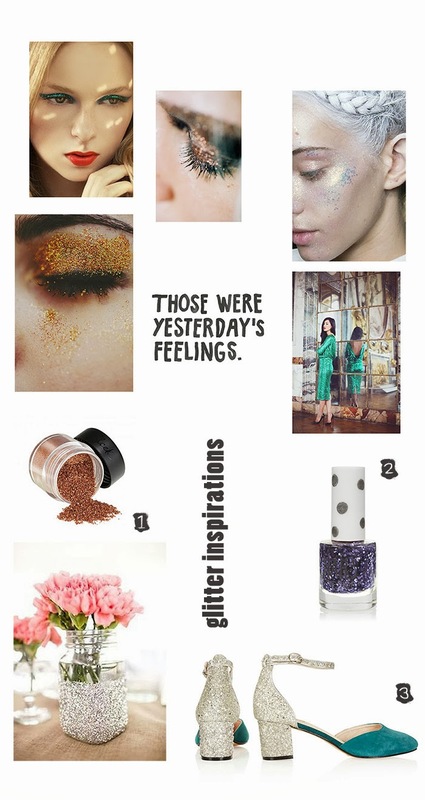 As you can see in my little inspiration mood board - the festive spirit has taken over already! The next month will be a busy one. So so many christmas parties, come togethers, reunions and new year celebrations lie ahead of us and I feel drawn towards everything sparkly. Especially sparkly make-up in rich gold, green and silver hues inspire me to get the paint brush out! Topshop provides us with everything that glitters for the nails (1:Nail in Pluto) and their shoes are just devine (3:Juniper). In fact, they are my absolute dream shoes. The heels are perfect for a night out - not too low, not too high but very glittery. I tried them on so many times but unfortunately they just don't seem to be designed for my feet. Depressing. I shall stick to glittery make-up such as the eye dust (3:Tigress) and DIY vases I guess then. 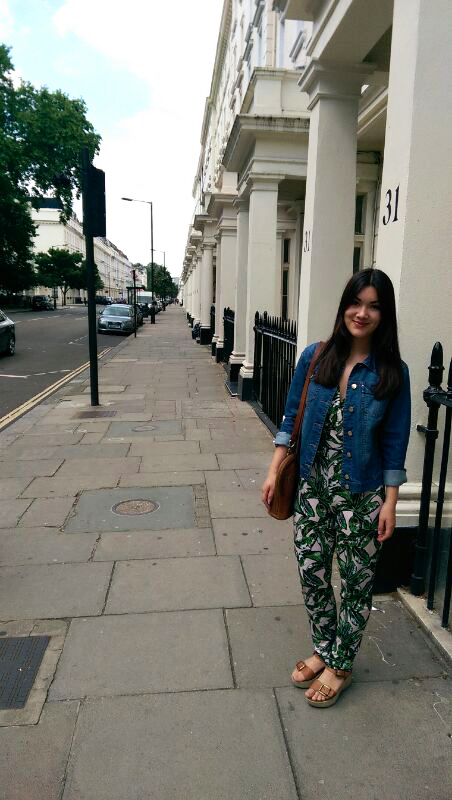 Last weekend my favourite visitor came to London and we spent Sunday exploring west London. Even though I've been living here for a quite a few months now there's so much more to see! 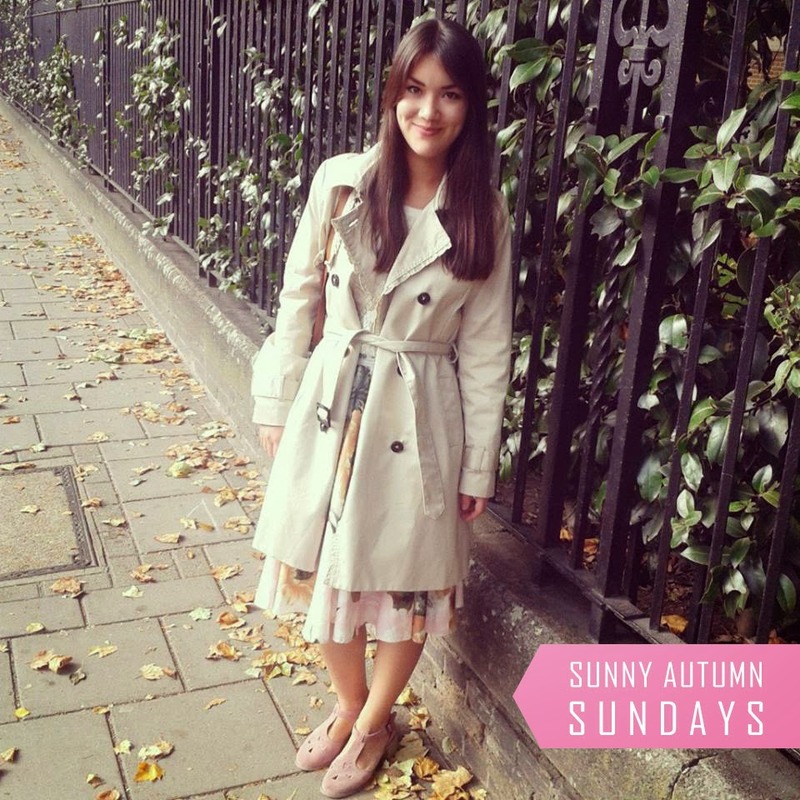 As it was a very sunny day I chose to wear my lovely Topshop skirt and white lace jumper as well as my H&M Trenchcoat to keep warm. If I learnt one thing from living in England it is to always, always bring and umbrella and jacket as the weather can change in seconds! The suede t-bar shoes I'm wearing are from Topshop too. The cut outs are a really cute detail and they are so comfy with their little block heel. I got them in black and pink now...but there are also available in green at the moment - very tempting! Around lunch time we went to My Old Dutch in Kensington. 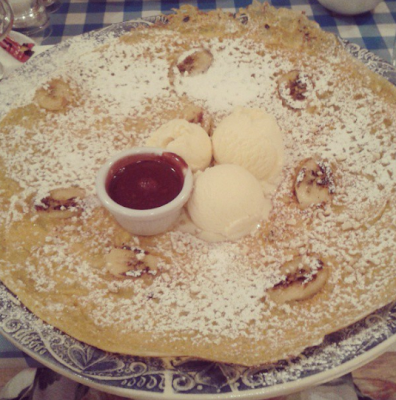 It is an amazing pancake house with the biggest, widest range of pancakes I have ever seen! Whilst my boyfriend chose to go for the (very!) spicy chicken one, I stuck to the sweet things in life and ate a banana pancake with chocolate sauce and vanilla ice-cream. It was amazing!!! If you fancy some unusual drinks My Old Dutch is also your place as they offer some amazing milkshakes and fruit beer from Belgium. From mango to banana beer, they got it. Letzten Sonntag war mein Lieblingsbesucher in London, da haben wir gleich den ganzen Sonntag damit verbracht die Gegend mehr zu erkunden. Da das Wetter noch nicht ganz zu herbstlich war, konnte ich meinen neuen Lieblingsrock von Topshop tragen. Allerdings bin ich eine Frostbeule und so durfte der weiße Wollpulli unter dem H&M Trenchcoat nicht fehlen. Die rosa Schuhe sind auch von Topshop. Die Cut-Out Details, weiche Wildleder und der kleine Blockabsatz machen sie einfach perfekt. Sie passen zu allem und sind perfekt für die Arbeit. Ich habe die Schuhe auch noch in schwarz und nun gibt's sie bei Topshop sogar in grün...aber ich kann mir nicht wirklich das selbe Schuhpaar in drei verschiedenen Farben kaufen, oder? Mittags ging es dann zum My Old Dutch in Kensington, ein Pfannkuchenhaus mit leckeren Milkshakes und verrückten Biersorten. Das Bananenbier war ganz lecker, aber die Pfannkuchen waren noch viel besser und vor allem riesig! Das Menü sah auch super aus für ein deftiges Frühstück oder Brunch - auf jeden Fall empfehlenswert!